We’re approaching that time of year when New Year’s resolutions begin to lose steam. All the conviction and motivation that marked the first week of January slowly disappears, just like it does every year. Why are most New Year’s resolutions so unsustainable? I’ll give you two reasons: because they lack practicality and pleasure. 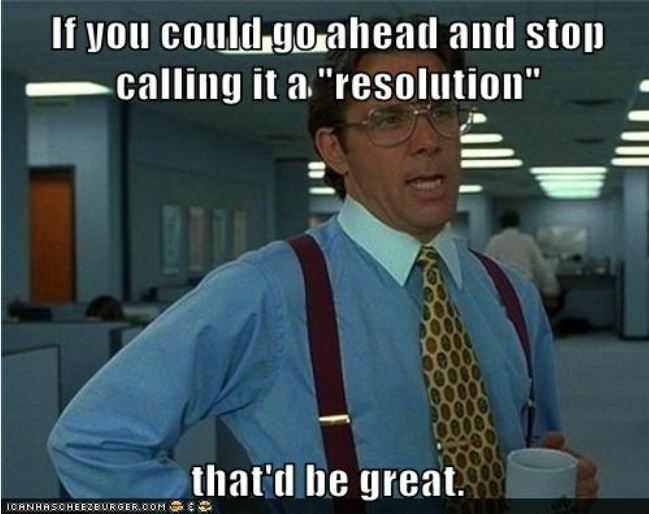 Here are two simple strategies that can help turn resolutions into realities. 1. Pleasure: Don’t call it a resolution! When a resolution attempts to curb a desire, the desire almost always wins. Does this happen because cheese puffs are actually more delicious than carrots, or because desire is itself a stronger trigger than resolve? Saying, “I want to do this” is more motivating than saying, “I should do this.” Therefore, let’s call New Year’s resolutions “desires” from now on. A little word swapping will definitely make your goal sound more pleasurable, but is it enough to ensure success? It’s hard to say, “I want this!” when you’re stomping away on a treadmill just to reward yourself with a bowl of quinoa-kale mush later. 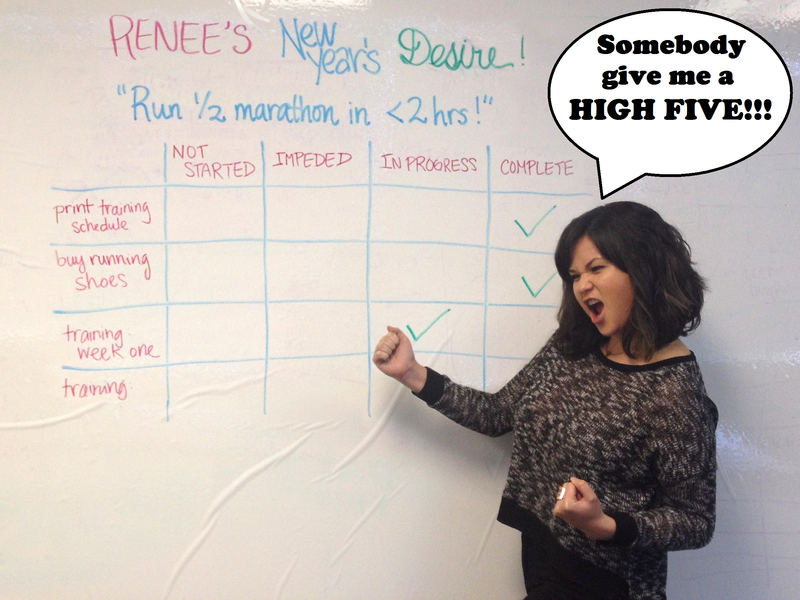 To kick your New Year’s desire out of the fantasy stage, you need to do a little planning. Suffice it to say, my pace was slower than the previous year. I set a goal, but without a training schedule I did what most people do with resolutions—I pushed it out of my mind until the end of the year, when it was too late to be truly successful. Break down your desire into small, scheduled “mini-desires” with clear deadlines. Check in regularly to see your progress and identify obstacles that stand in your way. Prioritize mini-desires by what you want most, or what needs to be achieved in order to progress further. 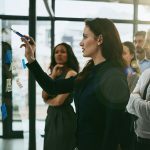 Keep a visual of your New Year’s desire clearly and prominently displayed (a giant poster or dry-erase board would work well). You’ll feel satisfied every time you mark your progress. Display the visual at your office. Coworkers will comment on your progress and—intentionally or not—help drive you toward your goal. 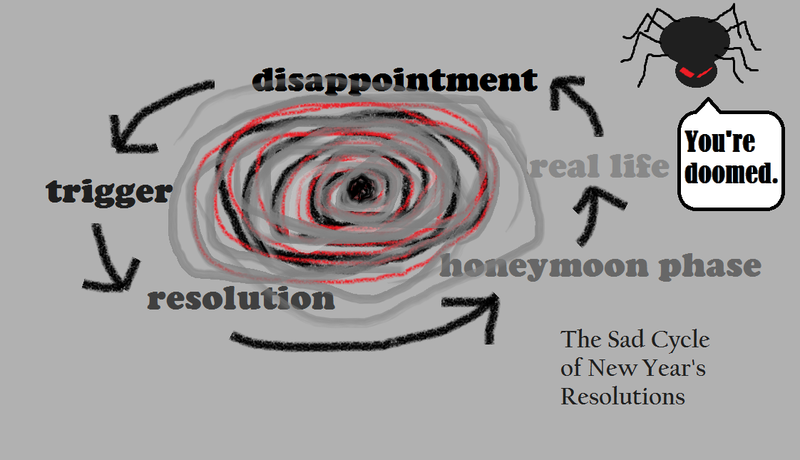 For example, here’s how I would visually display my New Year’s desire (at work, of course). My “mini-desires” are in the left column, starting with highest priority items. Then I can track my training progress and make note of any impediments. With a little forethought, your desire gets the practicality it needs to become a reality. I hope your 2014 is full of achievement!